Congratulations to all the children who participated in this year’s Coast Mountains School District Concours d’art oratorie held on March 08, 2019! All of our French Immersion and Francophone students worked hard and presented fantastic speeches on topics of their choice. Thank you as well to the volunteers who helped organize the event, our sponsors, and our judges. CPF Terrace would not be able to have hosted such an event without the help from everyone involved. Come visit Ecole Jack Cook on February 13th! If you are interested in an education for your child at a francophone school, or know of someone else who may be interested, swing by tomorrow! CPF Parent Peter Lambright is running for school trustee in the upcoming election October 20th in Terrace. deeply value French language and culture. 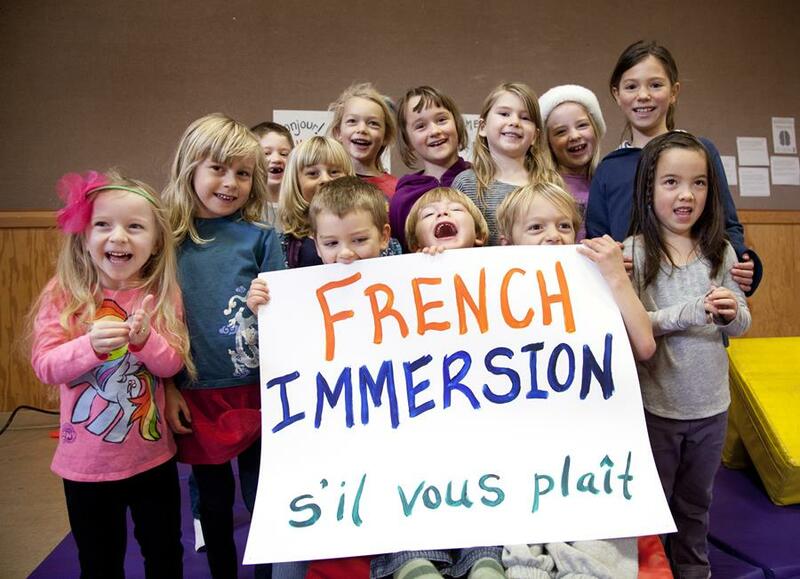 My support for sustaining the French Immersion Program started after Canada enacted the Official Languages Act. Our School District has now provided French immersion for over thirty years. There are challenges to sustaining and growing the French immersion programs. I am committed to supporting continued dialogue and effective collaboration amongst stakeholders to address the barriers in the effectiveness and viability of our immersion programs. Having an adequate supply of qualified teachers. Addressing the attrition rates that occur particularly after grade 8. Addressing the choice of courses and scheduling challenges that occurs in the later grades. Address how to increase enrollment of students in the French Immersion program. Continue to address accessing sufficient funding including the Federal support for immersion programs. Our District has active leadership in Canadian Parents for French and this group is committed to maintaining and enriching the existing programs. I welcome working with them and others to find solutions to the current barriers identified for the immersion program. I believe that language programs in our schools are important. Our district offers K-12 French Immersion in 3 of our areas – Kitimat, Hazelton and Terrace. French Immersion is a program of choice and like any program of choice, there are challenges. Our district has had struggles with having an adequate supply of qualified French Immersion teachers. There are struggles with attrition; particularly after Gr 6. French Immersion students have more time tabling issues in the higher grades and of course there is always the issue of sufficient funding. I am committed to working with parents, students and educators to find creative ways to address the challenges facing French Immersion programming. I am hopeful that open dialogue and partnership with all of the stakeholders will result in a program that is student focussed, robust and sustainable. Canada has two official languages – English and French with the latter being optional for students to enrol in. Now we have a variety of first nations languages becoming more and more prevalent, giving students (and their families) other choices to learn something of their heritage. We will see how that will fit into the curriculum in the coming school years. Students will make their choices with the help of their parents and the school depending in its population. My name is Lorrie Gowen, and I have lived in Gossen sub-division for 26 years, moving here from Calgary where I worked at SAIT Polytechnic. I have been an employee of Coast Mountain College (nee: Northwest Community College) since 1994 and am currently Dean of Trades and Workforce Training. The purpose of our education system, both K-12 and Post-Secondary is to give students the skills needed to be whatever they want to be; be it Plumber, Doctor, Graphic Artist, or Network Administrator. I am running for position of Trustee for Thornhill (Area 3) with Coast Mountains Board of Education. I want to thank you for this opportunity to write about my views on French Education in the District. A recent research study found that 8.8% of Canadian job postings require candidates to be fluent in both official languages. The stats also that show men who speak both languages earn 3.8% more than those speaking only one language, women who are bilingual earn on average 6.6% higher wages. In this highly competitive job market, one has to support parents who have made the decision to send their children to French Immersion schools. Having said that, whether students are in English or French schools, it will be my job as trustee to ask the questions on how we are giving students the skills needed to be successful in employment. Those being communication, critical thinking, teamwork, adaptability, initiative, reliability, ongoing learning & development, leadership, organization, and technology. How are teachers integrating these skills into their lessons? I will also be looking at how we are adapting Work Integrated Learning (WIL) into our classrooms. Do all students have an opportunity to participate in experiential, place-based learning? How are we connecting schools to their community? Large topics for sure, but one I feel I am ready and able to tackle. I look forward to having the opportunity to represent you as Trustee for the next four years. The report showed that province-wide, French immersion enrolment has been increasing for 20 consecutive years. As a result of the booming popularity of this well-established program, districts around the province are scrambling to find enough qualified teachers and teaching assistants. “French immersion is a well-tested and well-established program delivery model,” said Diane Tijman, president of Canadian Parents for French BC & Yukon. Free Family Skate and Membership Drive! Join CPF parents and families for a one hour free skate followed by refreshments and activities! Fantastic Door Prizes for New Member Sign ups and renewals! One of the great benefits of membership. Only CPF members and their families are eligible to attend these fantastic camps throughout BC. On October 15, 2017 Canadian Parents for French celebrated the culmination of CPF’s 40th Anniversary in Gatineau, Quebec following the successful close of its 41st AGM. The real equity problem with French immersion is the reluctance of too many school boards to make it available to ALL students, especially in under-serviced neighbourhoods. As a decade-plus volunteer with Canadian Parents for French, I’ve seen the way immersion opens doors — not for the “elite” — but for students from every walk of life, especially new Canadians, whose parents want their kids to fully engage in every aspect of Canadian life. Meet Wadeed. His family immigrated to Canada when he was a toddler. His parents didn’t know a word of French and Wadeed was learning English. They chose a bilingual country and then French immersion for their children. They were lucky enough to get into the program ahead of the restrictions on student numbers and the reduction in hours put in place by Peel Region. Wadeed has hosted a radio show on a French station, is a mentor to his siblings and cousins, encouraging them to work hard in French immersion and to stick with it to Grade 12 to get the full benefit. He is doing bio-chem at university and with French in his tool kit, he is up for 100 per cent of possible opportunities across Canada and many more around the world. Sydney got her bilingual certificate in Grade 12 as an Ontario Scholar. She went on to Carleton University and was able to get a great part-time job in Ottawa and Gatineau to help finance her studies, because she could work in French. She transitioned from the immersion classroom to working with Francophones. Within two weeks of graduating university, Sydney had a full-time bilingual position with a Forbes “Best Canadian Employer.” She interviewed in French for the position. Wadeed and Sydney achieved our Ontario goal for French as a second language students: to have the confidence to use their French in their daily lives. Research and common sense tells us that success in language learning is tied to early learning and time spent in the target language. Core French offers 600 hours in Grades 4 to 8, while even the weakest early French immersion program offers 3,800 of French time. The real equity problem with French immersion is the reluctance of too many school boards to make it available to ALL students, especially in underserviced neighbourhoods. Ontario Institute for Studies in Education (OISE) grads, Callie Mady and Katy Arnett’s work in inclusion in French programs shows us that not only do marginalized groups want in, but that educators and administrators are the gatekeepers who need to refresh their thinking. The Toronto District School Board, OISE and University of Toronto research shows us that French immersion students develop the French proficiency needed to be able to attend Francophone universities and colleges AND they meet or surpass the results of their peers in math and English by Grade 6 EQAO. Another Ontario goal is to have French second language classrooms that reflect the diversity of the community. The first step is to honestly look at who is in those classrooms and who is not, and the second step is to make equity just as much a feature of French immersion as it is in every area of education. We may have “English” school boards but they are Canadian first. Canada has two official languages. Let’s embrace the annual growth rate of French immersion of 5.7 per cent as a major success story in public education. Let’s get to work making sure every student in Ontario can access French immersion and acquire the language skills to fully participate in the public and cultural life of our country. Mary Cruden is the recipient of the Ontario Prix de la Francophonie and a Canadian Parents for French volunteer. Your ticket for the: Concours 2019 Winners!